One of the important hormones produced by the ovaries is Progesterone. Progesterone plays an essential role in in the process of reproduction. 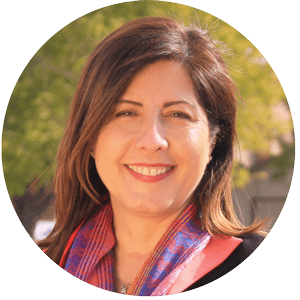 Many OBGYN doctors and fertility specialists prescribe Progesterone to women with a history of recurrent miscarriages. A miscarriage occurs in 15%-25% of clinically recognized pregnancies. The diagnosis of recurrent pregnancy loss can be made when a woman loses two or more pregnancies under similar conditions. Recurrent pregnancy loss takes an emotional toll on couples. In most cases, these couples are desperate and willing to try any treatment to improve their chances of having a child. However, in at least 50% of cases, no factors can be identified for the pregnancy loss. In these cases, the diagnosis of idiopathic pregnancy loss is made. Various approaches to preventing pregnancy loss have been evaluated for these patients. Aspirin, Heparin, Steroids, Intravenous Immunoglobulin and Immunization with father’s White blood cells have been tried. None of these methods seem to offer great results in preventing a miscarriage. Community Clinical Pharmacy specializes in Hormone Replacement Therapy. Schedule a consultation TODAY! The good news is that one large study has reported a higher live birth rate with progesterone use. According to this study, the only treatment that can be recommended for the management of idiopathic recurrent pregnancy loss is progesterone. Progesterone use should be given to the patient starting at ovulation time. Progesterone can be administered as an oral capsule, flavored lozenge, vaginal suppository, topical cream, and intravaginal gel or cream. Your doctor will evaluate your particular situation and decide the appropriate dose as well as the dosage form that would be best for you. 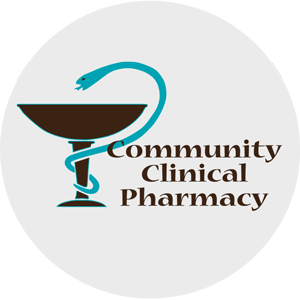 At Community Clinical Pharmacy, we custom make your Progesterone according to what is prescribed for your individual needs. Our lozenges can be flavored based on your preference. All of our custom-made medications are compounded accurately by experienced staff. We use state of the art equipment to ensure proper mixing of the ingredients resulting in superior products. If you or someone you know has suffered from recurrent pregnancy loss, please talk to your doctor or contact one of our knowledgeable pharmacists. We are here to offer you solutions and to help you navigate through a successful pregnancy.